Among the many benefits of receiving radiation therapy at Advanced Prostate Cancer Institute is the advantage of having access to the latest technological advancements in the treatment of prostate cancer. This increases a patient’s prognosis for a positive outcome and provides a more comfortable experience during treatment. RapidArc technology, one of the latest innovations in radiation therapy for prostate cancer, is in use at Advanced Prostate Cancer Institute in Florida. The benefit of this advanced technology is that it allows doctors to deliver Intensity Modulated Radiation Therapy (IMRT) with precision and at a high speed. There are actually several conditions for which RapidArc can be employed to increase the effectiveness and efficiency of treatment. This impressive radiotherapy technology was developed by Varian Medical Systems and allows radiation treatments to be delivered up to eight times faster than other approaches. For prostate cancer patients, the use of RapidArc means fewer side effects and better results. 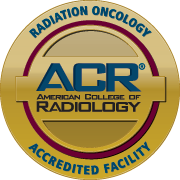 RapidArc is the leading-edge equipment through which intensity modulated radiation therapy can be delivered. With IMRT, small beams of radiation are manipulated to conform to the tumor’s precise shape, thereby radiating only the tumor. The benefit of this technology is in reducing radiation exposure to healthy tissues, making the treatment extremely accurate while limiting potential side effects. RapidArc serves to make the advantages of IMRT even greater, resulting in shorter treatment times. 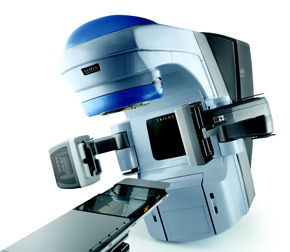 Couple these technologies with image guided radiation therapy, wherein doctors overlay a pre-treatment CT scan with the initial CT scan in order to locate the target with submillimeter precision, and the chances of successful prostate cancer treatment are greatly increased. Of course, it is ultimately the expertise of the medical professionals using the equipment that will have the biggest impact on the patient’s health. For this reason, informed patients choose to have their radiation therapy at Advanced Prostate Cancer Institute in Florida.